“We must remember that on November 7 the voters will not elect a national minister or pastor in chief.Â A president is not held to the same moral standards as an elder of a church.Â While it is a blessing from God to have ethical or even Christian political leaders, the Bible places no such requirements on secular governments.Â . .
“. . . Nevertheless, the question remains whether or not it is wise for a specific woman in a particular season of life to seek such an office â€” and the same would apply to any man.Â In evaluating individual cases, a spouse and a local church pastor would be a crucial source of counsel and a means of grace from God.Â Because of cultural voices to the contrary, we must remind ourselves of the unbelievably high calling of being a wife and mother, and that faithful service in the home is just as pleasing to God as national leadership. 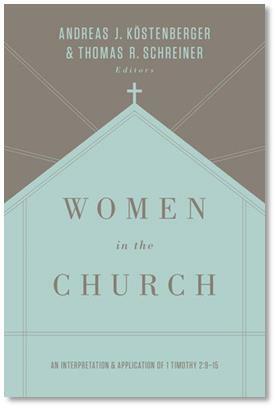 More excerpts: “The Bible calls women to specific roles in the church and home, but does not prohibit them from exercising leadership in secular political fields. Rather, the Queen of Sheba is presented in 1 Kings 10:1-13 in a positive light in her interaction with King Solomon. Queen Esther offers an even better example of a woman who appropriately exerted influence for the good of her people without holding the highest position of national authority (Esther 2:17). In this light, we cannot categorically say that it was sinful for Queen Victoria to lead England as a single woman strictly because of her gender, nor can we condemn Governor Palin or any other woman for seeking the office of Vice President. Women should not be held back from an office that is not strictly forbidden in the Bible. Adam O, and other egalitarians, please read this article. Why make Sarah Palin part of this comp/egal debate at all? It’s apples and oranges. I wish you’d have kept your previous post as the headline this morning. I find this article and this line of thinking very goofy. Why post this on the heels of a great night? Good question. A lot of people have been asking about it. In unrelated posts below, commenters have been asking me about it. Since there have been a few that asked your thoughts on this subject, thanks for addressing this issue. Or as it seems, this non-issue. Why do the egalitarians always want to put complementarians in a box? Proverbs 31 speaks of a wife who is not simply sitting around the house (as the egalitarians seemingly want to paint complementarian women), but actually busy in her responsibilities. Read the chapter. This is not an egalitarian woman, but a woman who complements her husband. Also, she is involved in activities outside the home, namely in the area of buying and selling. You might say she is running a business and her husband is known at the gates because of her productivity. Palin looked, sounded, and presented that aspect last night. She is not a perfect model, but then none of us are. By the way, for all you egalitarians. Why don’t you blog about your disgust that the Olympics held separate events for men and women. If men and women are so equal then why the deliniation? OK, fair enough. Still wish you’d have delayed this for a few days. Let the woman shine without muddying the waters with this unrelated issue. She’s got enough hurdles to overcome with the liberals. Let’s try not to erect hurdles on our side of the track. Just my thoughts. Is being a man or a woman a “moral standard”? I don’t get it. I thought all Christians–president or elder of a church–would be held to the same moral standard (the Bible). The difference the writer is referring to is that complementarianism doesn’t apply to presidents the way it does to pastors, so why does he use the term “moral standard.” “Job qualification” maybe, but “moral standard”???? And, Denny, I have to confess, it would *appear* that you have been reticent about sharing your opinions on Palin as a VP pick because you are testing the waters, waiting to see what the “good old boys” of YOUR particular club (in this case, theologians and complementarians) would say about her. Say what you think, sir! And quote not the thoughts of others. This is one place where the non-egal view goes into contortions, IMO. As (most) non-egals claim that male hierarchy in church and home is based on CREATION, CREATION would affect everything. They want to have it both ways. Of course, there is an obvious way to be consistent, and that is consistent equality. Yes, the books of the Bible were written in a patriarchal culture, but that does not mean patriarchy or any form of masculinism is God’s ideal. The Olympics separate the genders in many sports as the bell curve of performance is not a total overlap, with the best males having a higher performance than the best females. God made the genders with different physical properties, which need to be respected in various ways; this has NOTHING to do with the spiritual. The Olympic example has everything to do with this discussion. The point is that egals wants complementary positions when it suits them; they don’t always want egal positions. Yet, they attempt to state that there can be no nuances in the complementarian position based on role, job, etc. If they want egal all the time, then fine, but they don’t. Surprise, egals believe the genders DO complement each other; they believe they do so without a required gender hierarchy. Biblical egals do not believe people are equal in physical ways. There are obvious differences. Very interesting post. This is a much different position than what I’ve read from other CBMW writers. For example, Barbara K. Mouser in The Womanliness of Deborah asks, “Does Deborah provide an historical precedent that overturns the principle of male leadership in the home and nation?” Obviously, she presupposes that there IS a principle of male leadership in the nation and seems to infer it from Isaiah 3:12, “Isaiah tells us that the rule of women is a sign of degeneracy, not liberation.” She even goes so far to say that Deborah is “judging” but is not a “judge” (!) as the book of Judges understands the role. Her desire, according to Mouser, was to strengthen men and not replace them, and should not be seen as a head of state. Kim Pennington, in her article Able to Teach and Complementarian?, observes that the Old Testament shows a pattern of male leadership for the nation of Israel, and that Isaiah 3:12 demonstrates that national female leadership is “unnatural and grievous to God.” She also sticks to the line of reasoning that Deborah really wasn’t a judge since she did all of her governing privately. It seems to me that there is a large concession happening when Kotter says, ” Therefore we must be careful to not go beyond the teaching of the Bible. The Bible calls women to specific roles in the church and home, but does not prohibit them from exercising leadership in secular political fields.” Also, it is a very peculiar to say that “the Bible reserves final authority in the church for men, this does not apply in the kingdom of this world.” How exactly does that work when a basic principle of biblical authority is that disobeying biblical teaching is the same as disobeying God? It is like saying Christ is the head of the church, but not of this world. Very strange. However, refusal to allow the same measure of courtesy when complmentarians step outside biblical roles is bogus. That is my beef with the egals. They want it both ways, but they refuse to allow complmentarians any latitude. Also, it is a very peculiar to say that “the Bible reserves final authority in the church for men, this does not apply in the kingdom of this world.â€ How exactly does that work when a basic principle of biblical authority is that disobeying biblical teaching is the same as disobeying God? It is like saying Christ is the head of the church, but not of this world. Very strange. I obviously misread the quote, and thought it said ” the Bible IS the final authority in the church…” I strike the last sentence of my comment as a strawman. The whole CONCEPT of roles is bogus, IMO. The term is not used in the Bible as far as I can tell. What people have are attributes and gifts. Being male or female is an attribute, humans come in gender. Being smart or strong is a gift. And there are also spiritual gifts. In the physical arena there are things a woman can do that a male cannot do, namely bear a child and directly feed a child. And only a male can impregnate a woman. This is the way God formed us and it is glorious. Apparently directly because of these differences, women TEND to have more fat and less muscle than men and tend to be smaller physically, but these are generalizations. So where physical things are important, it is appropriate to make distinctions. To say everyone is equal PHYSICALLY does not make any sense and it is therefore a straw man. When we get to the spiritual realm in the new covenant, I do not look at physical things as qualifications or disqualifications as my understanding of the Bible says these are not relevant. Character qualities ARE relevant as is being gifted by the Spirit. This blog has always been a “commentary on theology, politics, and culture” (see title of the blog). During the two convention weeks (which only occur every four years), expect the commentary to be a little heavy on the second item in the list. I would stipulate, however, that the commentary on the second item is not unrelated to the first. Don’t you agree? You would have to define what the word “role” is to you then. That is what I would see the word role as meaning, to name simply a few. The man AND the woman in the garden were stewards plural of creation. They had equal authority over the earth and animals. I do not see what adding the word “role” adds to this. Israel IS the nation where Messiah came and now SOME from all nations (gentiles) are grafted into Israel by faith. Again, what is added by adding the term “role”? The Aaronic priests in the Mosaic covenants were intercessors for Israel. Jesus was and is prophet, high priest and king and many other things. All believers are royal priests in the new covenant. A role is something someone PLAYS, for example in a drama or comedy. Some people are anointed in the Kingdom for certain ministries or functions. But the concept of role or office implies that it exists even if not instantiated with a person. I do see this in a way for the 12, as there needed to be 12 or else the mapping to the 12 tribes would not work. But otherwise in the new covenant I do not see the use for the term “role”. For example, there is to be a plurality of elders in a congregation as I read the NT. But it does not say if there are 2 or 20, it is organic. There is not an empty office or role of elder waiting to be filled if one dies (for example), rather the congregation decides what to do and when to do it. Just because YOU see a problem does not mean that there IS a problem. Don (#15) It seems odd to me to say that men and women differ only in things we see. Additionally, to drag it all back up again, the bible is clear (even textually) about delineation between male and female (and the way they interactâ€¦.or roles….even if the word “role” isn’t a word used, it’s a term used to describe). We differ on an application of that delineation of prohibition (or the description of roles and differences between men and women). I donâ€™t consider my preferences in qualifications, either, but I do consider Godâ€™s word as binding on these items. To say Godâ€™s instructions on the differences in the sexes as a â€œphysicalâ€ difference is also perplexing. And about the elders, the discussion isnâ€™t how many, but the fact that it is an office/duty/role/definition restricted by 1 Timothy. And no, the congregation doesnâ€™t get to decide on qualifications. That is already set. The congregation gets to decide on the things on which the bible is silent (a specific number, for instance), but not on the qualifications of elders/overseers. I would say that you wouldnâ€™t apply your logic to say that a corrupt man (or, for your sake, person) could be an elder (lots of people like him, though). BTW, roles, while easily defined using terms you mentioned, is not relegated to theater. Some non-egals are consistent and say a women should always be under a man. Some are less consistent in various. If a hierarchy is based on CREATION, why does it not apply everywhere? Another way to be consistent is to say men and women are equal and not see any male hierarchy during creation until the fall. The best that CBMW can claim is that male hierarchy is hinted at, it is certainly not explicit, and if one does not wear blue tinted glasses it cannot be found in Gen 1-2. Some qualifications for elders are given in Titus and 1 Tim, I agree. However, these qualifications do not limit being an elder to being male. Excellent post man! You really did your research and presented your case very well. I find it funny that when a woman of their political likings gets involved in a political leadership role, they claim how the Bible doesn’t speak to it, but before Palin got involved, this wasn’t quite the case as you have showed! I’ll say it again, if the election were between two pro-life tickets, one consisted of 2 males and the other of 1 male and 1 female, then Albert Mohler, Denny Burk, and all the other outspoken complementarians and conservative evangelicals would vote for the ticket with 2 males and use the typical complementarian arguments against the ticket with the woman on it. However, since this isn’t the case in this election, they say it’s find since the Bible doesn’t provide a proof-text for them. John (and Adam), it’s a matter of importance. Yeah, I would prefer to have two men on the ticket. But that choice isn’t mine to make, and McCain-Palin is an exponentially more moral choice than Obama-Biden. That’s fine. I totally accept how you see it as a moral choice. And even think a complementarian could make a good case for female political leadership. There needs to be some clarifications made. Or at the very least a discussion among comps about what the official interpretation is. I’m sure they can come up with something. Would you all have a problem if Palin decided to lead a bible study with her mixed gender staff? “Iâ€™ll say it again, if the election were between two pro-life tickets, one consisted of 2 males and the other of 1 male and 1 female, then Albert Mohler, Denny Burk, and all the other outspoken complementarians and conservative evangelicals would vote for the ticket with 2 males and use the typical complementarian arguments against the ticket with the woman on it. However, since this isnâ€™t the case in this election, they say itâ€™s find since the Bible doesnâ€™t provide a proof-text for them. I see Albert Mohler’s argument for women being in political leadership as a slippery slope to the cancer and virus of egalitarianism invading the evangelical church. You may laugh at this statement, but it not much different than ones being made by the complementarian side all the time. Since Jesus and Paul were egalitarians in their culture, it is hardly the case that egalitarianism can invade a church, but it can be excluded from church. A role is something someone PLAYS, for example in a drama or comedy. That is ONE definition. As you should know, when speaking in sociological terms, “role” has a different definition. Don (#29): Jesus and Paul honored women (as women properly should be or should have been!). Paul specifically set forth honoring relationships: men being servant leaders as Christ is and women to lovingly submit. Additionally, Paul defines church order (as reflective of creation). Which, to mention, is something that should be noted. Comps aren’t the ones making novel interpretations about male teaching being rooted in Genesis. God spoke through Paul rooting it in Genesis. And, to bring back a point that was made somewhere in this thread, many to most comps see male as the head, etc., teaching as the context it was written (church and home). Or perhaps I’m being naive. I’m not following the invade comment. I think you mistake that Christ and Paul state that we get to use what gifts we want how we want when we want or else itâ€™s evil limiting (perhaps a blatant caricature of egalitarianism, but, I think, true.). I.e you believe the early church followed a modern day egalitarian view, then suddenly, when Paul died all of the knowledge of what was going on died with him and Christians suddenly changed how church was organized or conducted (and we are thus in a day of excluding egalitarianism from church). Interesting. My view is that with the gentilization of the church, some truth was lost, since they did not know the 1st century Jewish context of some things in what we call the NT. And more was lost over time. And then with Constantine, corruption entered the church, before that they were at least all believers. But with Constantine state power got behind the church. This does not mean all were non-believers, far from it, but it was a mixture. I agree that non-egals are not monolithic, some are more patriarchal than others. They are all off the zero point of equality. Jesus never explained that one to us. He wanted us to BE in Him. Fed by the Vine. Not to play a ‘Christian’ role. Not suddenly. We can see from the Epistles the problems in the churches. However, ‘Greek’ hierarchical thinking was definitly brought into the church. The ‘flesh’ always wants to rule someone or have authority over another. So, servanthood taught and modeled by our Lord was definitely lessened over time by sinful man. Jesus even told us that we are not to lord it over others as the Gentiles do. Within the Body of Christ, there is no room for rulers…. only servants. Any protestant think that the church by the time of the Reformation had error(s) in it, it is a question of how much and what exactly were the error(s). The idea of religious liberty reversed the error of state power behind a state church, for example. So complementarianism grew out of the error in the church spawning ca 200 AD on? And now we can clarify it. Again, interesting. I wouldn’t say lessened over time. I would say that servanthood* is against our nature. One reason why Paul admonishes husbands immdediately after giving instructions to wives. And, then, from that, you mean that stating (holding) a clear biblical command (1 Tim 2, 3, Titus 1, Eph 5, Col 3, etc.) is then lording. Oh, well. Hope all is well for yâ€™all. I have to head home (is that a pun?!). * – Also (can I have two footnotesâ€¦â€¦no, but oh, well), servanthood isnâ€™t a word according to my dictionary which is very sad and ironic at the same time. However, â€˜Greekâ€™ hierarchical thinking was definitly brought into the church. Is that why the Jews only had male priests? What is called comp. by some grew out of a reaction to what was happening in the 1980’s. The arguments are for the most part entirely new. That is because what was “obvious” before then was obviously sexist and wrong, so the arguments that had been used for a long time could no longer be used. Don you are the king of assertion. Absurd assertion, but assertion nonetheless. I love howegals want it both ways: Paul hates wome, no Paul ws ignorant about women issues, no Paul was an egalitarian. Next are you going to tell me that Paul WAS a woman?? Honestly Don I usually skip your possbecause thy are so full of misunderstanding of the complementaian posiion and errors and odd assertions that they are a waste of my time. In my understanding of the gospels, Acts and NT letters Jesus and Paul were very egalitarian, Jesus in seed form and Paul in full form. They were very countercultural in what they said and did and the culture was patriarchy. If you think Jesus or Paul was not egal, that is because you may not be understanding them in cultural context, but we should always read verses in context. Don, you crack me up. Jesus and Paul were not egals…as much as you ma read your understanding back onto the text. In fact, it is odd that you would say that since most egals hate Paul because they think he hated women and furthered patriarchy. I gree that both had much to say to lift up women…but that is not equal to being egal. Your misunderstanding of complementarianism is staggering…as are your coninued absurd assertions. Paul did not hate women, far from it, but his adversaries could be accused of that. Paul was by far the most egalitarian writer for over a 1000 years, no Greek came close. I have studied many non-egal books, so I do not think I am misunderstanding them, just that in many cases they are wrong. I agree that Paul did not hate women. I also do not think he taught anything that could be construed as egalitarianism, despite what you read into the text. Like I said, most egals hate Paul and a lot understand Paula complementarians do…thus their hared of him, and their disregard for his writings. I still don’t see or agree with your supposed exegesis of the relevant passages. Your method just varies from how anyone would understand any other verses. It just reeks of eisegesis. Where did you study hermeneutics, greek, and theology? BTW, you never answered my question…are you a pastor? I am not a pastor. I have taught some classes at local churches and in my home. There are some puzzling verses, no question about that, but understood in context they liberate women, not limit them. I studied at the university of Toronto, where did you study these things? Think broader, think of F.F. Bruce, Nicole, Bauckham, Fee, Longenecker, and many more. Complementarianism is a choice. It is a deliberate decision to read the subordination of women into the text. If it was about Greek then Denny Burk or Andreas Kostenberger or some other complementarian would happily translate the one piece of evidence for authentein, which is in Greek on my blog. If it were about Greek then Wayne Grudem would not have said that kephale is used to say that the king of Egypt is head of the nation, or David is the head of his people. These citations do not exist. The blindfold was removed, as I drifted through on piece of Greek literature after another, as I read the original texts in Greek. Then I knew what I have often wondered. Complementarianism is invented by humans and defended rather poorly in these studies. Don: There are some puzzling verses, no question about that, but understood in context they liberate women, not limit them. Let’s take a deeper look at context, shall we? When these epistles were written and circulated in the early church, the church leaders at the time could read the original language in which the autographs were written, yes? Therefore, that eliminates the issue of translation which you and other egalitarians have repeatedly raised up here and on other threads. (1) Original church leaders, original autographs, reading in the original language, no issues of translation error, and yet … there were no women elders in the early church! And this was the case for many centuries afterwards, yes? (2) And yet we have Don and other staunch egalitarians arrogantly claiming that the early Church and through the many centuries afterwards have misunderstood Scripture and have disobeyed Scripture from having limited the office of elder to men only. This is the context of arrogant, prideful egalitarians using revisionist hermeneutics to impose their agenda. I find it quite odd that it is ONLY complementarians that read their understanding on the text. Amazing how only one side reads the text with blinders. Sue, I have read much on this. I wrote several papers in seminary on this issue. I have read the articles you have suggested. I have read your repeated posts on this blog saying the same thing. I simply don’t agree with you and do not find your argument convincing. I think you are guilty of doing exactly what you accuse complementarians of doing, reading your emotion and position into the text. Once again, as others on here do, I think you misunderstand complementarianism…or else you would not continue to think that it demeans or subordinates women. But I think we’ll never agree on this. TUAD, evidently Don believes that Paul was an egalitarian…of course that doesn’t explain why no one elsee was egalitarian for so many years (including that first generation of believers in churches Paul started). Nevermind that his position is contrary to what most egals believe. I am sorry that I don’t remember your previous comments on my studies. I have read your repeated posts on this blog saying the same thing. I simply donâ€™t agree with you and do not find your argument convincing. Could you demonstrate where I have gone wrong or is this just a general statement. Have you read Linda Belleville’s articles? I am curious. Marriage is like the trinity, The Father is in charge. Jesus ALWAYS submits to the father, he obeys, he says what his father has told him to say, Jesus sees the father in the trinity as the head, and he obeys him. It is never the other way around. Isn’t it interesting? Now imagine a wife who always submits, who always obeys, who always says exactly what her husband tells her to say. And the husband never submits to her. Doesn’t anyone think that this is “subordination” of the wife? Isn’t this demeaning? Clearly ancient cultures were patriarchal. I don’t disagree with that. But oddly complementarian exegesis is quite different from that of the early church. Markedly, in Gen. 3:16, it was thought that Eve was subjected to Adam and he would rule over her. Now complementarians claim that woman desired to control man and he would have to rule over her. The sin of woman is now her rebellion against male headship. This is not found in the church fathers, who believed that Eve was subjected to Adam in Gen. 3:16. Heh, heh. Jason, you’re catching on! One of the most insidious tactics straight out of a liberal revisionists’ playbook is to to accuse the other side of doing the bad behavior that you’re doing. Unfortunately, to the many undiscerning third-party observers who are witnessing an argument between a revisionist and a truth-teller, they aren’t able to perceive this tactic when it’s being played and subsequently, they are often deceived by the wily revisionist. Jason, I think you already know that staunch egalitarians like Don, Sue, Adam O, John, Lydia, Scott, et al are deceived, and are heart-hardened resistant to suggestions that they are self-deceived or deceived from below. Compounding unfortunate matters, they then blithely perpetuate their unsound doctrine to unsuspecting, young-in-the-faith Christians. Egalitarians obviously believe that the practice of the Church in reading, interpreting, and following Scripture regarding God’s Divine Design for the office of elder to be men only has been wrong, badly wrong, and wrong from the inception of the Church and for many, many centuries afterwards. And now the egalitarian revisionists proudly claim that the saints are wrong and they are right. No sale. I’m not buying this insidious and contemporary lie from the Father of lies and the Author of Confusion. One of the most insidious tactics straight out of a liberal revisionistsâ€™ playbook is to to accuse the other side of doing the bad behavior that themselves are doing. “However, â€˜Greekâ€™ hierarchical thinking was definitly brought into the church. What does that have to do with the NC? In the NC, all believers are ‘priests’ and Jesus is our High Priest. There was polygamy in the OC, too. Does that make it command now? Or, what does it mean that only Levites could be priests in the OC? I praise God we are in a New Covenant. I have a question: Would Palin be in sin if she decided to lead a bible study for her male and female staff? Saints. They. huh? Are you implying that egals are not saved? Simply because they believe in mutual submission and servanthood instead of hierarchy within the Body and marriage? I am not liberal prot, I am evangelical prot. A lie is a deliberate falsehood, so be careful with the accusations. The earliest believers were all Jews of the Way, due to the Jewish war and the Council of Jamnia adding the 19th malediction to the Jewish 18 benedictions, the church split from its Jewish roots and became gentilized. After all, gentiles represented over 95% of the “market share”. This meant that verses written in a 1st century Jewish context were sometimes not understood as early as the 2nd century. The ECF were not infallible interpreters, not even as a group, altho they do provide evidence for meaning, but NOT if technical terms that they did not know are used in a verse. I’d like to see them answered. No. Please do not put words into my mouth that I did NOT say. That is a false accusation, and bearing false witness through misrepresentation and distortion. Anyone’s eternal destiny is decided by God, and God alone. But what I am declaring, along with Denny Burk, Al Mohler, Russell Moore, Tommy Nelson, Bruce Ware, Wayne Grudem, John Piper, RC Sproul, John MacArthur, Mark Dever, Mark Driscoll, et al is that the teaching of egalitarianism is aberrant doctrine. No claim is being made that the Early Church Fathers were “infallible” interpreters, so don’t make a false attribution. But let’s take a look at Scripture: “13 But when he, the Spirit of truth, comes, he will guide you into all truth. He will not speak on his own; he will speak only what he hears, and he will tell you what is yet to come.” (Jesus speaking in John 16). But lo and behold, we now have the revisionist egalitarians who many centuries later can arrogantly tell us what the “technical” terms are in a verse because they now have some Spirit guiding them to their egalitarian truth. The Church missed it all these centuries, but somehow, the egalitarians can now provide an overdue corrective for the Church. Sorry. No sale. Iâ€™m not buying this insidious and contemporary lie from the Father of Lies and the Author of Confusion. Friend, Statements such as these are meant to be accusations and I only point this out for your edification. There are two proposed lies within this one statement. Word and ‘read into it’ what they want it to say. 2. You imply through this sentence that the comps are ‘saints’. Saints are the ‘set apart’, the sanctified. By saying this you are implying that egals are not ‘set apart’ or saved. The dangers here are many. I came to the egal poistion after many years of study and prayer. That position is simply this: Mutual submission for all believers and servanthood within the Body of Christ (including functions instead of ‘offices’). Both are exactly what our Lord taught and modeled. There are many who want to be in authority over others within the Body. They love this extra biblical teaching too much and it is leading them into other error that is even lessing our Savior and His Deity. 10I appeal to you, brothers, by the name of our Lord Jesus Christ, that all of you agree, and that there be no divisions among you, but that you be united in the same mind and the same judgment. 11For it has been reported to me by Chloeâ€™s people that there is quarreling among you, my brothers. 12What I mean is that each one of you says, “I follow Paul,” or “I follow Apollos,” or “I follow Cephas,” or “I follow Christ.” 13 Is Christ divided? Was Paul crucified for you? Or were you baptized in the name of Paul? 14I thank God that I baptized none of you except Crispus and Gaius, 15so that no one may say that you were baptized in my name. 16(I did baptize also the household of Stephanas. Beyond that, I do not know whether I baptized anyone else.) 17For Christ did not send me to baptize but to preach the gospel, and not with words of eloquent wisdom, lest the cross of Christ be emptied of its power. 20 Where is the one who is wise? Where is the scribe? Where is the debater of this age? Has not God made foolish the wisdom of the world? 21For since, in the wisdom of God, the world did not know God through wisdom, it pleased God through the folly of what we preach to save those who believe. 22For Jews demand signs and Greeks seek wisdom, 23but we preach Christ crucified, a stumbling block to Jews and folly to Gentiles, 24but to those who are called, both Jews and Greeks, Christ the power of God and the wisdom of God. 25For the foolishness of God is wiser than men, and the weakness of God is stronger than men. So please consider this when you boast in scholars, celebrity preachers and others. God is no respector of persons and uses the foolish and weak to shame the wise and strong. I love this verse because I know that the Holy Spirit teaches me through the Word even as others will ridicule me for not having attended seminary first in order understand the Word. Only ‘they’ can tell us what scripture really means. Sort of like having ‘popes’. To the egalitarians in the room, don’t take condemnations and name-calling seriously. Stick to the issues. Anyone who can’t stick to the issues and puts your faith on trial doesn’t have much of a case to begin with. If the truth is on your side you can remain calm, gently instruct and hope to be persuasive. No threats are necessary. Don (#60) Paul was not writing to the Jews. He specifically wrote to the gentiles. So while trying to say it’s confusing because of a jewish context, no, it was written to the gentiles for the gentile churches. And, given the predominantly patriarchal society (and the popular egal comment that greek culture was downright egalitarian), it would make more sense if you argued that more of the jewish culture and context carried through. Additionally, to say that an ECF is not infallible is spot on, but to then make the technical terms argument sounds like a drift into Gnosticism. But I donâ€™t think that is what you mean (right?). I think an ECF would have a tighter grasp on what a verse (or in our case a recurring theme of verses in multiple writings by multiple authors) was indicating than do we in our extremely scholarly culture. Unfortunately, Paul died, so we go on preponderance of evidence which is overwhelmingly a recurring complementarian view within the full cannon of scripture. And just to bite (Lydia (#57)), I would say an absolutely qualified maybe Mrs. Palin would be going against biblical command. If it is a regular meeting where she would always be the â€œpresiderâ€ (sic) and arbiter on the Word (and, by association, a small group would have a position of authoritative/interpretive teaching and influential life impact), then I find it hard to justify. But given that 1 Timothy was written for instructions on Church worship, it is equally difficult to say an absolutely not. Itâ€™s not the church assembly (the subject matter of 1 Tim 2, 3) and body authority. Thanks for the scripture remembrance, too (always should come back to that, right?)! We shouldnâ€™t say this is what Dr. Burk or Sue (if youâ€™re a Dr., Iâ€™m just unaware, no slight intended) or whomever says. We should see the scriptures. A misread on your part. Try reading it again and see if you can figure out what I’m saying. There are many who want to be in authority over others within the Body. Are you referring to women in particular? Puh-leeze. I simply cite all those folks and all the long list of leaders throughout Church history who have correctly taught the teachings of the Word. In this specific case, that certain offices are to be filled by men only. But please notice again what you’re saying: You’re saying that the Church has been wrong and has been following the teachings of men all these centuries instead of Christ. This is prideful arrogance from egalitarians. But lo and behold, Don, Sue, Lydian and other egalitarians claim that they have egalitarian wisdom which the Church did not possess since the inception of the NT Church. Also, I wanted to make a quick note and perhaps a question. Submission isnâ€™t something that can be taken forcefully (God chose us, not took us). Itâ€™s not something that can be demanded. That would be tyranny. And is not complementarian teaching. Itâ€™s teaching that we submit to Godâ€™s word which guides. It is a consistent egal argument that taking Paulâ€™s words as meaning what he said in Ephesians 5 (or Col 3 or 1 Peter 3, a complementarian position) is demeaning or makes one lesser (I believe subordination was the word used). Wouldnâ€™t it then stand to reason that 1) That would mean my work and government are demeaning to me (we are to submit to kings and authorities, ergoâ€¦â€¦) 2) That would mean I am lesser of a person for submitting to Christ somehow and 3) I would be less of a person when I do serve someone since I am submitting. I venture a guess that you disagree with all three of those. The argument I see coming from that is we choose. So it comes back to what I want, when I want and how I want it. Also, the gentle tone (with minimal exceptions) is nice, too, all. Sorry for the multiple posts, I thought it might be easier on the eyes. Yes Brian. Thank you Brian. But we now observe how revisionist egalitarians like Don, Sue, Lydia, Adam O, et al are proclaiming themselves “wise” in what the Scriptures really say. I’m not trying to flame! Here’s an honest question. Can the predominance of church history be wrong? For example, what do we make of dispensationalism? Did some members of the church suddenly (re)discover what many perceive to be a lost truth in the late 1800s? There is healthy debate and respect regarding the multivalent eschatological perspectives embraced by the evangelical/reformed community today. I dare say, Paul might be shocked that we hold the egal/comp debate in priority above our eschatological leanings. Just a thought. Not just eschatology Scott, if we want to argue from church history, we also have to interpret the Song of Solomon as an allegory between Christ and the church (a view hardly anybody holds to, though it was interpreted that way throughout history until about 100 years ago). We also need to interpret the parables allegorically (a view throughout the entirety of early church history, which hardly anybody does today). We also need to believe the Apostles Creed which states that Jesus descended into hell after he was crucified for three days (a view John Piper even rejects!!). So, don’t give me this “That’s what everybody has believed throughout church history, so it must be right” business. If you’re going to be consistent, then say that Jesus descended into hell, dispensationalism is 100% dead wrong since it wasn’t introduced until the 1800s, the Song of Solomon is an allegory between Christ and the church and not an exotic love poem (Calvin had somebody exiled for interpreting it the latter way! ), and all the parables are allegorical and don’t really mean what they really say. I’m afraid the argument that egalitarianism wasn’t present in the church until recently (which is really a lack of knowledge of church history, though women weren’t predominantly leaders, there are more than sufficient examples of women being leaders), just doesn’t quite cut it and is insufficient evidence for the comps. Sorry. Paul’s words can be misundestood to seem demeaning, but are not. Corinth and Ephesus had a congregation of both Jews and gentiles and 1 Cor is to both Jews and gentiles, some sections are specific to one or the other in terms of arguments they would accept. (It is all the word of God, but some arguments would be better understood by Jews and some others by gentiles.) 1 Tim is written to a Jew at Ephesus. I didn’t understand half of the words in the post, but I still have a question. How are we holding egal/comp above priority somehow to eschatology? Or am I not understanding your questions (again, with words like multivalent I get lost reeeeeaaaaaaalllll easy ;-)). Of course, it was to TUAD, so not trying to step on toes or anything. And I hope TUAD didn’t take you as flaming him. But lo and behold, let us observe Don, Sue, Lydia, Adam O, John, Scott, and other egalitarians proudly claiming that they now possess the egalitarian “wisdom” which the Church did not possess for thousands of years. These egalitarian revisionists have not even come close to meeting the mountainous burden of proof, but yet somehow they continue to claim that the biblically-based Church teaching of complementarianism in the home and the church has been wrong from the beginning. I would not say it needs to be mountainous, just that it needs to be convincing. And it convinced me after studying both sides. Sorry Jason!!! I’ve been up to the ears today in reading, so it all kind of spilled out in the post. 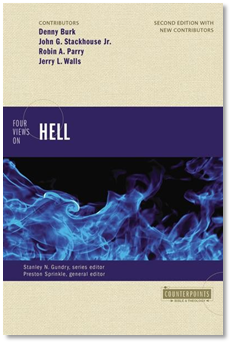 I don’t think we are holding the “gender debate” over eschatology. I do think, however, that the tilt of our discussions seems at times to elevate a great many things over our Lord’s return. I find that interesting, namely that something so important can foster so much disagreement that is mutually respected. In contrast, the gender debate lends itself to sharply drawn battle lines. This is what I was trying to get at. I find this amazingly ironic coming from you TUAD. Very unnecessary! I’ll humbly admit I can and may be wrong! The burden of proof is on the Spirit’s conviction. I think Don et al would agree that it’s not a matter of stubborn pride and arrogance. I think the heat of the debate gives that implication, and that’s a sad result. The truth that should unite us is our mutual confession to the supremacy of Christ risen and exalted. We all kneel to that just as you do. Ergo, Egalitarian = Arrogant Pride. Also, speaking of church history, many wrong things were believed and practiced (some still are) for many years: Transubstantiation, War in the Name of Christ, Slavery, padeobaptism, church/state, magistrates, sacraments, etc., etc. How in the world were such things such as magistrates/state-church supported by such brilliant theologians such as Calvin and Zwingili? I know…they were just a product of their time. Yes, I have heard that before. How do you explain the eradication of slavery 150 years ago in the US? Was it just biblically ‘misunderstood’ for all those years? I cannot see how your theory has been proven. If I have been arrogant I want to apologize. I simply hope that we can agree that there are different interpretations on a secondary doctrine. And we can dispense with any inferences that egals are not ‘saints’ within the Body of Christ or want to revise scripture. That cuts at my heart that a brother would make such a declaration because I love the Word. We can disgree on such secondary matters and still consider ourselves brothers and sisters in Christ. I think the point of contention is that many comps feel egal is more than a secondary concern. I’m not so sure this is primarily an issue of the effects of an aberrant interpretation as much as it is an issue that, in their opinion, egal undercuts inerrancy or at least cuts into biblical authority. We disagree, obviously, about the clarity of his teaching. That does imply differences in hermeneutical practice. I fail to see how that creates the schism TUAD et al imply. If I have been arrogant I want to apologize. I simply hope that we can agree that there are different interpretations on a secondary doctrine. I certainly agree with you that there are different doctrines regarding the biblical roles of men and women. But the honest fact is that complementarians maintain that the egalitarian’s interpretation, doctrine, and practice are aberrant. As far as whether it’s a secondary doctrine, please define for me what you regard as a primary doctrine and what is a secondary doctrine, and whether there is some fluidity in moving from a second-order doctrinal error over into a first-order doctrinal error. And we can dispense with any inferences that egals are not â€™saintsâ€™ within the Body of Christ or want to revise scripture. I think we have different understandings of the term “saints”. But I’m not making any inferences about egalitarians being revisionists. I’m declaring it. Egalitarians are revising the understanding of Scripture and the obedience to Scripture through the aberrant teaching and practice of egalitarianism. That cuts at my heart that a brother would make such a declaration because I love the Word. I rejoice over the fact that you love the Word. But if the Lord chooses to use me to cut at your heart for being an aberrant egalitarian, then please don’t take it out on the messenger. We can disgree on such secondary matters and still consider ourselves brothers and sisters in Christ. Imago Dei. We all bear the marred image of Christ. And we’re all sinners in desperate need of His Grace, Love, Mercy, and Forgiveness. Yet as one sincere pilgrim to another: egalitarianism is false doctrine. egal is truest Christian doctrine. Heh. I don’t think you intended to make me laugh, but laugh I did. Look, I appreciate the honesty in your declaration that egalitarianism is truest Christian doctrine. In the absence of agreement, clarity is the next best alternative. So let’s agree to disagree agreeably. We know where everyone stands and let us separate amicably. P.S. This complementarian is voting for Sarah Palin on the McCain-Palin ticket!!! Yeeee-hah! You don’t think this is arrogance? An, as Don, mentioned, who decides “true” doctrine? The SBC? The Danvers statement? The Textus Receptus? We can discuss the manuscript tradition of 1 Cor. 14:34-35. We can discuss the authorial tradition associated with 1 Tim. 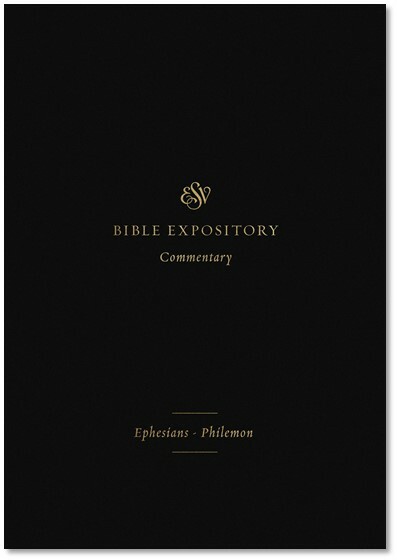 We can discuss the contextual situation of Ephesians (and who wrote it if you would like.) My point is that there is a common shared truth the faith is built upon. There are other areas in which we can disagree. I think you’re mistaking the two. And from on sinful pilgrim top another, don’t get offended when I chastise your intemperance and the tone with which you chastise believers. I don’t see one ounce of humility or Christian character in you. I’m clueless as to why people still interact with you honestly, and I think you even make your own side embarrassed. You need to consider changing your approach and maybe people will engage you in conversation more. Re: Slavery, I would say is a) not the same in US 1800â€™s vs. what was referenced in Greco-Rome (though I know many would argue with me about that), b) Argued not as a biblical command, but a practice condoned (kind of like how a comp would argue that a male couldn’t have a female boss), and thus, must be good and c) Uh….I had a “c”, but I forgot it. Egal teaching seems similar in ways, as well. The arguments ignore the biblical commands in the letters and seek to justify a relationship born out of anecdotal relational evidence. Again, similar to someone rooting secular in Creation, but itâ€™s not specifically commanded anywhere. Comp is first rooted in the biblical commands (1 Cor, Col, Eph, 1 Pet). It is also easy to see (as well) how it flows throughout the full cannon of scripture. Re: Schism, I think this is definitely not tier 1 as that is saved (hee hee, a pun) and relegated to Christ, deity, one God, etc. But (as Scott rightly points out about the comp argument), itâ€™s a high tier 2 that has tier 1 implications (again, Scott underscored how comps see it as undermining biblical authority). I know we disagree. If the implications werenâ€™t as dire as that (having an impact on scriptural authority), then perhaps this wouldnâ€™t have any discussion at all (there arenâ€™t many hot debates about drinking or large vs. small church). Of course, part of this is all of our natureâ€™s desire for arguments (to at least some degree). I pray that everyone has a safe and wonderful weekend. Maybe OnFaith will generate 1700 comments, too ;-)! Actually I was arguing for the supremacy of Christ as our risen Lord. Unfortunately I don’t have time to put the New Testament in emboldened quotes to make the point. Slavery in the Empire was different than American slavery in the 1800s. However, there were still gross atrocities (primarily sexual) in deference to the male head of the family. It’s interesting Paul did not stop the practice. In theory, he couldn’t – slavery was such an assumption as to equate it with modern electricity (i.e. fundamental to the economic and social continuance of the Empire.) He could, however, fight for equality and moral regard for the slave. Boy, the fur is flying on this thread. John, Scott, Lydia, et al… the reason we comps don’t view this issue as secondary is that anything that undermines the authority of Scripture cannot by its very nature be considered “secondary.” Secondary issues are along the lines of “how shall we serve communion” or “what type of music shall music team play” or “how many Bible studies should we offer.” Those questions can be answered many different ways and still hold to Scripture. On the other hand, this issue is clearly laid out in Scripture, which means that it must be important to God and is not to be taken lightly. Now, I wouldn’t call you heretics to believe otherwise, but it is definitely NOT a secondary issue. There are elementary issues, primary issues, and secondary ones. Elementary ones are like the Trinity, salvation by faith alone, etc. Primary ones are like egal vs. comp, God-based creation vs. random evolution, Jesus-based pacifism vs. neo-pacifism or vengeance-based justice, etc. Secondary ones are color of the drapes, hymns vs. contemporary, etc. Thank you for showing me how much love of Christ you have in your heart. Again, I want to express my humble appreciation for this honest declaration. This is a matter of truth and falsity. One is true and the other is false. So I really appreciate Don for not obscuring and obfuscating matters. Either the complementarians are truly correct or the egalitarians are truly correct. P.S. Have a good weekend everyone! Yes, my take is the egals are more correct, but I do not call a non-egal a heretic for the reason of being non-egal, while some non-egals do call egals that. P.S. I obey the Biblical commands on the “women” question as I understand them, it is just that I understand them differently than non-egals. Jesus was a seed/sprout-egal in his 3 years of ministry, but Paul was a full-flowering-egal in his many years of ministry. What does that have to do with the NC? In the NC, all believers are â€˜priestsâ€™ and Jesus is our High Priest. It has to do with the fact that the Jews were well aware of hierarchy well before the Greek influence and as a result of Law, not culture. Yes, there was a relatively flat hierarchy in the Mosaic covenants with the temple. It was a shadow of the reality in the new covenant. If Paul did in fact base the subordination of women on creation order and its universal application, then the complementarians arguing in favor of Palin’s nomination are being inconsistent. Especially if you’re also making the argument (which I have heard several comps make on this blog) that men, not women, are intrinsically suited to leadership. Just because an explicit command excluding women from ALL leadership roles (not just church/home) does not exist in the scriptures doesn’t mean that it cannot be reasonably and justifiably extrapolated. And especially if you’re going to be in favor of firing female Hebrew professors. And especially if you’re going to argue against either A) Deborah’s role as an actual judge (i.e., she wasn’t doing public/political judging), or B) that Deborah’s rule as judge was a sign of Israel’s punishment. And especially if you’re going to quote people like Piper and Mohler when they say that they’d rather vote for men than women (and that voting for a women when there’s no other pro-life choice is only OK when there’s no other choice). Compartmentalization is not a Christian option – it’s only a compromise with evil. Christians should support the application Christian principles (subordination of women to men) in BOTH the public and private sphere, or not at all. It IS inconsistent to claim otherwise. Pro-life Complementarian happily voting for Sarah Palin on the McCain-Palin ticket!!! “What does that have to do with the NC? In the NC, all believers are â€˜priestsâ€™ and Jesus is our High Priest. Patriarchy was a result of the fall. Gen 3 tell us that Eve would turn AWAY from God and toward her husband and he would rule over her. That is where Patriarchy started. God worked THROUGH sinful man for His purposes. Are you going to now try to convince me that all the Jews did in the OC was God ordained? How about Lot offering his daughters to be raped to save his guests from being sodomized. Could we apply your logic applied there? I also noticed that God mentions Lamech in Genesis as the first polygamist. God did not say anything about it being bad. Does that make it good? Or did God work through sinful man to regulate it? As He did many things. Are you also bringing the Mosaic law into the NC? If you do, you must bring all of it that is not mentioned in the NC, too. Well then why didn’t Peter tell the women prophesying to ALL in Acts that they were in sin? Why didn’t Paul tell the women in 1 Corin 11 that they were in sin for prophesyng in the Body? There are more examples you all choose to ignore. The comp position has many inconsistencies when looking at ALL of scripture. And we can see that by all the mental gymnastics taking place with Palin, Grudems book, etc. The problem is this whole topic is a snare to sin. Wanting power and authority over others is not of Christ. So, BEWARE for yourself. Scripture teaches servanthood and mutual submission.